The GOP scored another big win in Georgia on Tuesday night. 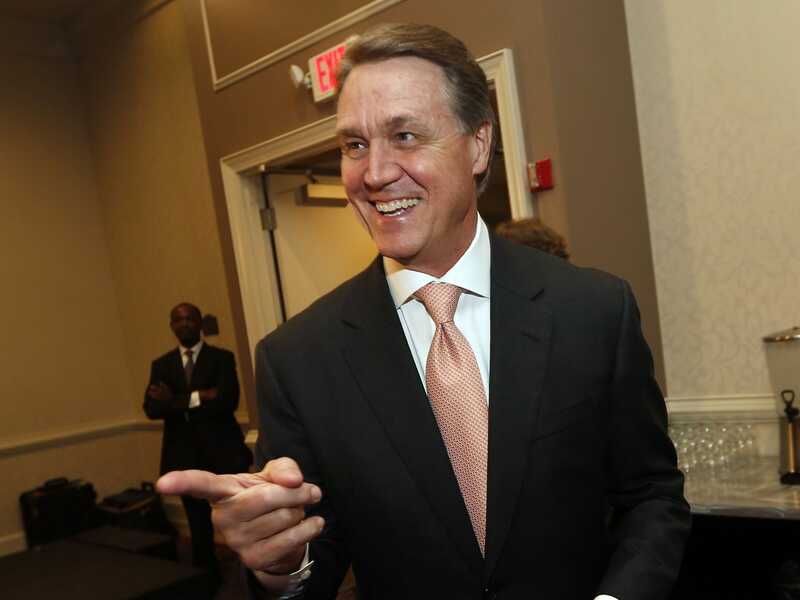 By 10:55 p.m. both CNN and NBC News declared Republican businessman David Perdue the winner of the Senate race in that state with no need for a runoff. Heading into election day, polls indicated Perdue might not earn the 50% of the vote necessary to avoid a runoff against Democrat Michelle Nunn on Jan. 6. That theoretically could have made it unclear who controlled the Senate until after the next session of Congress was set to begin on Jan. 3. Perdue will replace retiring Republican Sen. Saxby Chambliss. Georgia was one of three key states where Republicans were hoping to hold on to a seat against competitive challenges from Democrats. The GOP swept the three races where they were playing defence with projected wins in Kentucky and Kansas to go along with Perdue’s victory. Since they held on to these three seats, Republicans just need to take two seats that were held by the Democrats. They have already secured one of these pickups with a projected win in Colorado against incumbent Democratic Sen. Mark Udall.